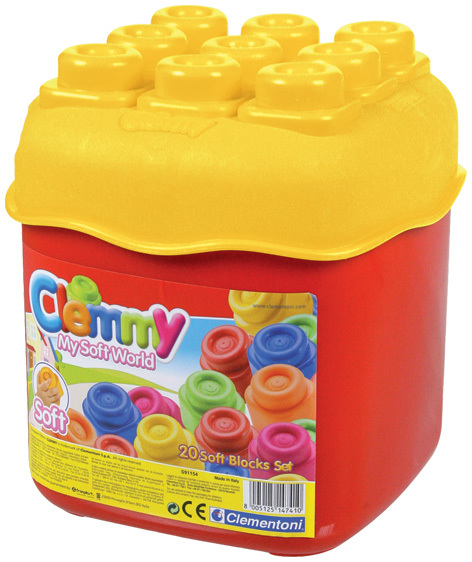 Made by Clementoni, the famous Italian toy manufacturer, Clemmy's soft construction toys are some of the safest available, and are perfect for very young babies. Your child can play, chew or squash them without getting hurt, whilst having fun stacking and slotting them together. 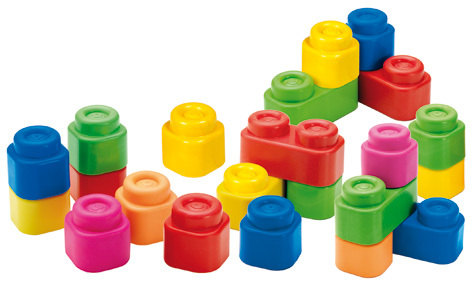 Designed for children as young as nine months and up to three years old, this set contains 20 durable and colourful bricks to make a variety of new and beautiful shapes – all of which can be stored in the bucket when not in use. Other Clemmy junior building sets also include a Schoolbus bucket and an Animal Train with removable softy animals. Please tell us what you think of Clemmy by Clementoni.